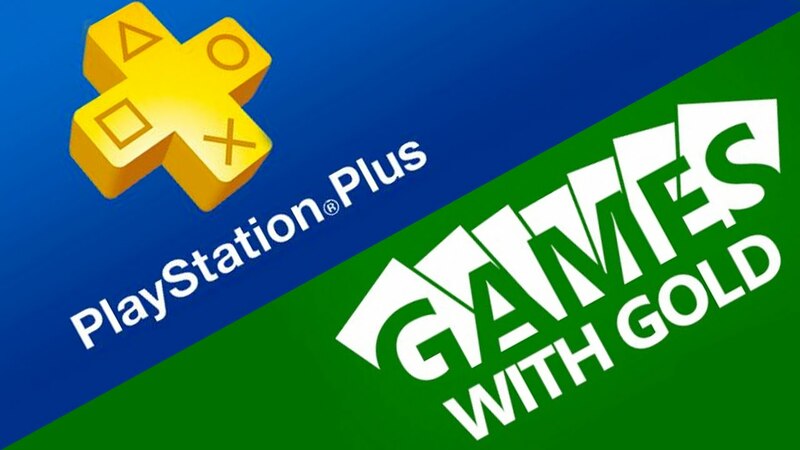 July is almost here and now that both Microsoft and Sony have announced their free games lineup for the month via Games With Gold and PlayStation Plus it’s time to look at which is offering the better value for gamers. As always we’ll look at several different areas and compare them such as the price value, how well the games were received by critics, and how old the games are. Keep in mind this is just our opinion on which is better for the month as every person has different tastes and may like certain games better than others. Which is better in July? Let’s find out. Games with Gold is offering four titles as always with two on Xbox One and two on Xbox 360. Assault Android Cactus and Death Squared are your free Xbox One games this month. Virtua Fighter 5: Final Showdown and Splinter Cell: Conviction are your free Xbox 360 games. As always you can play the Xbox 360 games on your Xbox One thanks to backward compatibility. Now let’s look at what the games are worth. So looking at the lineup you get $65 worth of free games in July. This is again a pretty low month in terms of value with none of the games exceeding the $20 price range. In fact Splinter Cell is the only game valued at $20 while the others are all valued at $15. Overall you’re still getting more than what you pay for a year of Gold but it could be better. Now let’s look at the PlayStation Plus lineup. In July, PlayStation Plus members are getting 6 games for free. On the PlayStation 4, we are getting Heavy Rain and Absolver. On the PlayStation 3, both Rayman 3 HD and Deception IV: The Nightmare Princess are free. Space Overlords and Zero Escape: Zero Time Dilemma are both free on the PlayStation Vita and round out the lineup. Space Overlords is also Cross-Buy with the PlayStation 4 version so you’ll get an additional game on that platform even if you don’t own a Vita. Now let’s look at the price values. So for the seventh month of 2018 you are getting a total of $168 in value. This is yet another month where you are getting at or over $100 worth of value in free games. There is good value here across the entire lineup which is a rare thing these months as far as the PS3 and Vita go. Both of the PS4 games are $30 while the PS3 and the Vita each have a valuable title with one being $50 and the other $40. It’s a great month overall for value and one of the highest the service has ever seen. So when comparing both lineups there is no contest here as PlayStation Plus wins with a $168-$65 difference. That’s over a $100 difference in value which is one of the biggest we’ve seen. Games with Gold really needs to step it up in this category. Regardless, you’re getting more value this month on both services than what a year of membership costs so. Now we have looked at what each service is giving you in terms of money value but are the games any good? In this area we are going to look at how each game was received critically and see which lineup comes out on top. I’ll be using Metacritic to pull the scores from and for multiplatform games I will use the platform that had the most review scores. However for games that only have scores of a PC version I will not use them as PC versions can differ greatly from console versions. So looking at the Games with Gold lineup you end up with an 81 average score between the titles. This is a big step up from last month in terms of scores as three out of the four titles here scored in the 8’s while Death Squared is the lowest here scoring a 72. While the value this month is low the games at least do seem to be quality titles. Now let’s look at the PlayStation Plus lineup. So looking at the PlayStation Plus you end up with a 74 average which again is better than last month. As an overall lineup this month is pretty solid across the board. Two titles scored a 69 but other than that everything is in the 7 range and one is in the 8’s. Heavy Rain was very highly rated when it released back on the PS3 but the PS4 version didn’t receive the high marks that the original version did. Zero Escape on the Vita is the highest rated game of the month with an 83 average and it really deserves it. Space Overlords didn’t seem to have hardly any reviews so It didn’t have an average score and thus wasn’t factored in. Overall it’s a very solid lineup for July. So when comparing both lineups in July, Games with Gold wins this round with a 81-74 difference. Microsoft has three titles in their lineup that scored in the 8’s range while Sony only had one with another came close. In this area Games with Gold usually has an advantage regardless due to there being more games on PlayStation Plus which usually results in a lower average. The same can be said in the value category however. Either way both lineups offer some good games this month and it’s up to the gamer to decide which games look more interesting to them. Once again we will be looking at and comparing how new are the games that each service is offering. Some gamers prefer to get newer games versus older games so we like to look at when each of these games came out and see which is better in this area. So looking at the Games with Gold lineup we have one title that is around eight months old, one title that is a little over a year old, one title that is six years old, and one title that is over eight years old. Now let’s look at the PlayStation Plus lineup. 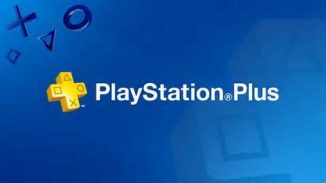 Looking at the PlayStation Plus lineup you have one title that is less than a year old, three titles that are two or almost two years old, one title that is three years old and one title that is six years old. So when comparing both lineups PlayStation Plus comes out as the winner. They have a game that is less than a year old and their oldest title is only six years old. All of the others have been released in the past two to three years. Games with Gold meanwhile does have two games that are a year or less old but they also have a six year old game and an eight year old game. Again this area might not mean anything to you but some gamers like getting newer games for free as there is a lesser chance that they have played them. So for the seventh month of 2018, PlayStation Plus comes out as the overall winner with a 2-1 win over Games with Gold in the compared areas. PlayStation Plus wins in the Value and Game Newness categories while Games with Gold takes the Score category. All of this doesn’t really mean anything though and as always it’s up to each gamer to decide which lineup is better for their individual tastes. Be sure to let us know in the comments which lineup you like better in July. Compared To Games With Gold, Is Playstation Plus Ripping Off “The Players”? I’d take that interactive movie and Absolver over those two indie games on Xbox One any day.